These little Halloween snacks are so delicious, it’s scary. 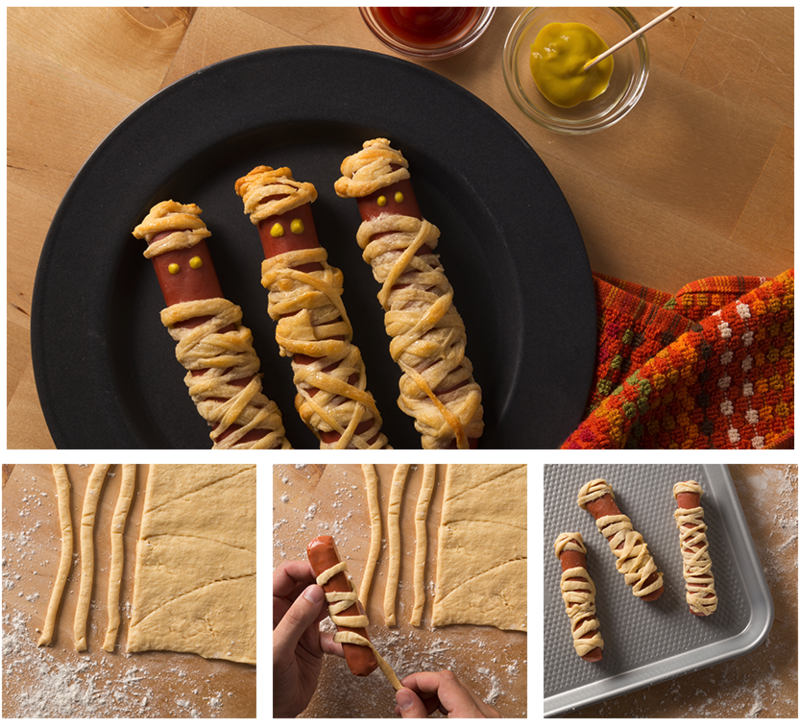 The family will love making (and eating) our Gwaltney Hot Dog Mummies. Sprinkle flour onto your surface and unroll and separate dough into 4 rectangles, then press perforations to seal. Cut the dough into thin strips with a pizza cutter or sharp knife to form long “bandages”. Wrap the “bandage” dough around the Gwaltney Hot Dogs, leaving space for the mummy’s face. Repeat this with all the hot dogs and arrange them on a baking sheet. Remove from oven, create eyes with mustard or ketchup, and enjoy!